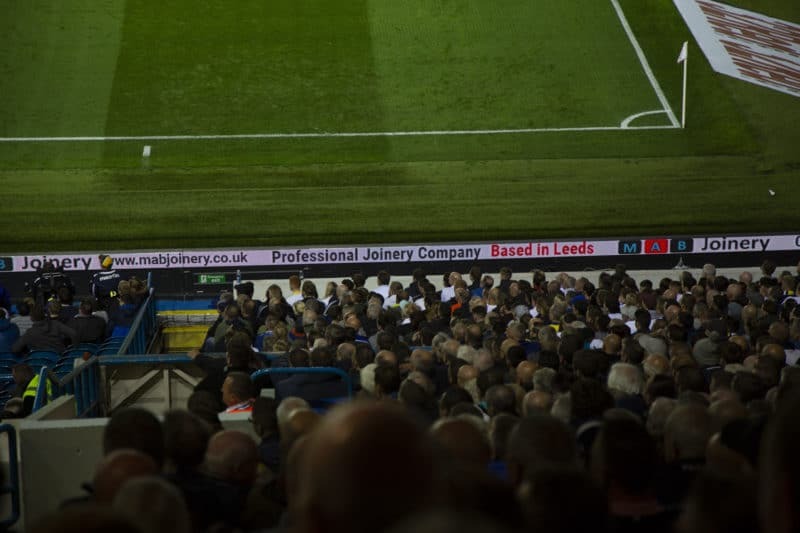 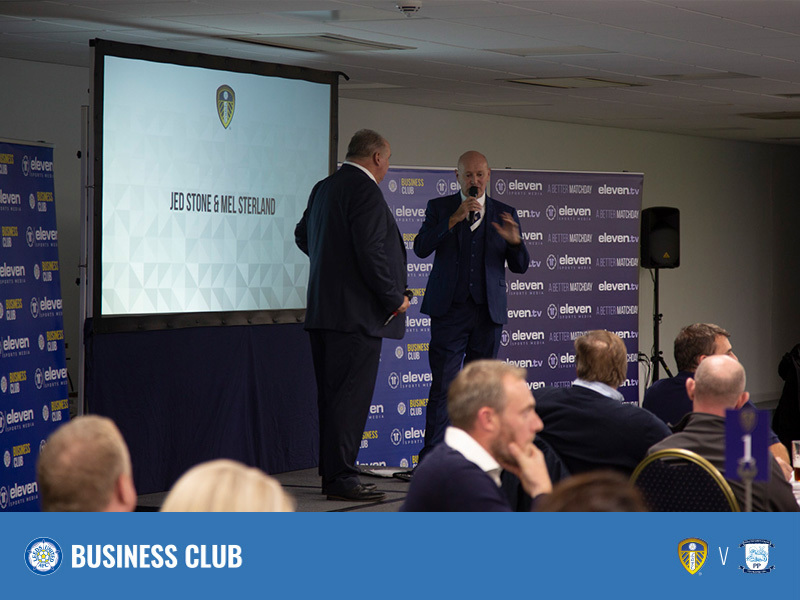 Leeds United Business Club’s partners are riding the crest of a wave at the moment, with their team at the top of the Championship and playing to packed houses at Elland Road, the benefits of brand association with Yorkshire’s premier club have never been higher. 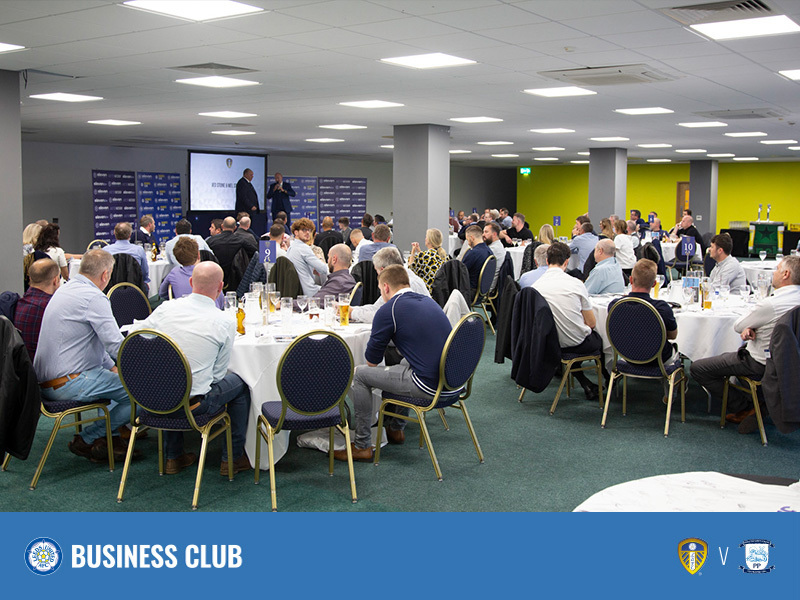 The Business Club partners enjoyed a fantastic night of entertainment at the home EFL match against Preston North End, where Marcelo Bielsa’s men continued their great form with a 3-0 victory. 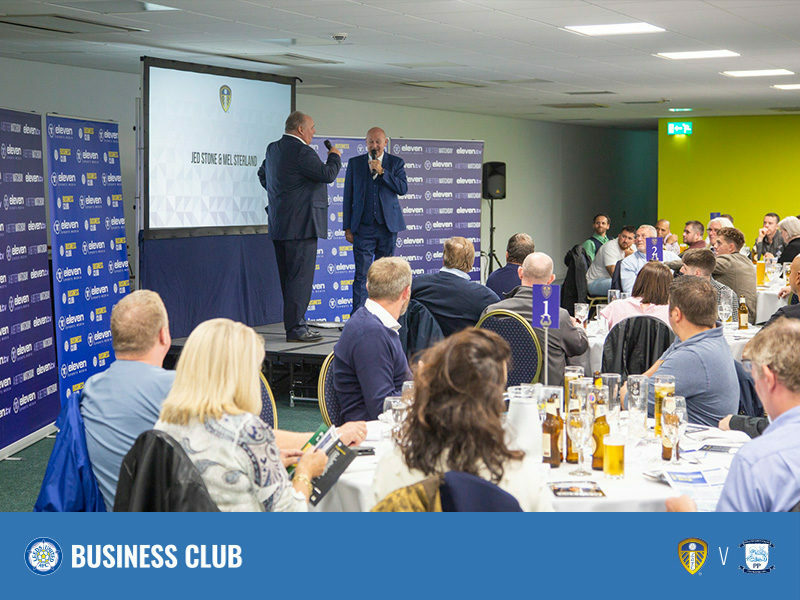 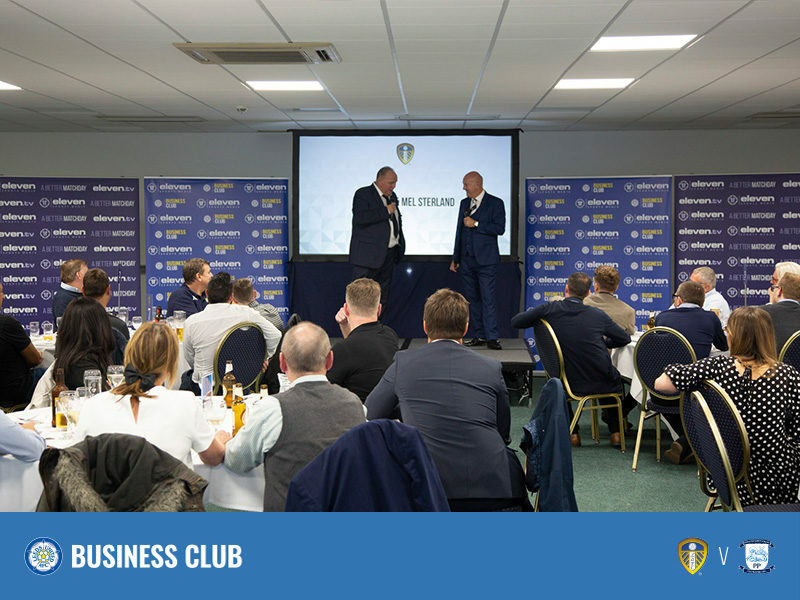 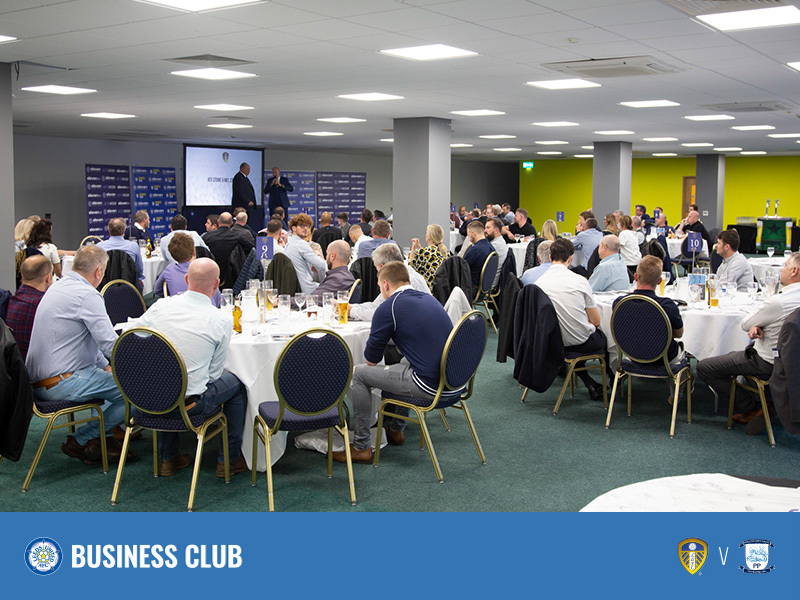 More than 100 guests enjoyed Elland Road’s great hospitality and also had the opportunity to listen to the tales and stories from two of Yorkshire sport’s biggest personalities. 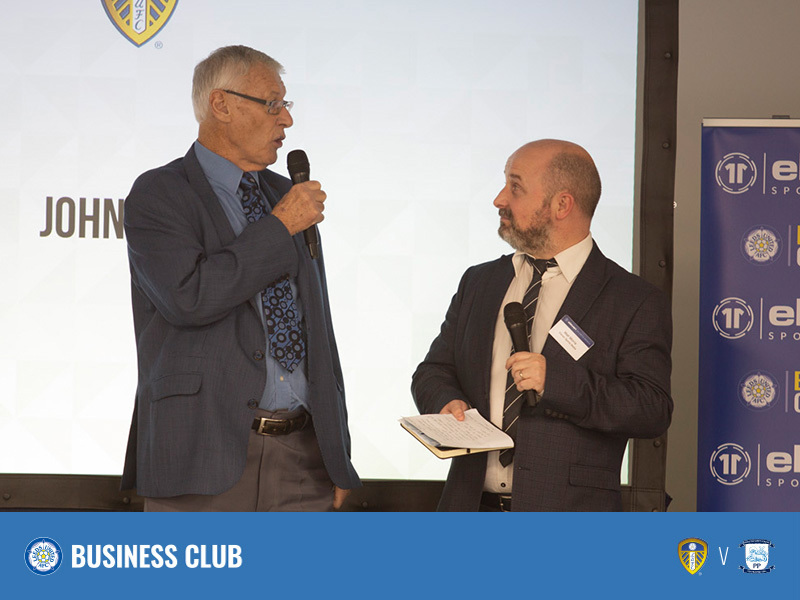 John Helm, sports broadcaster and journalist, has been at the top of his game for almost 60 years now and recently worked on his 10th FIFA World Cup. 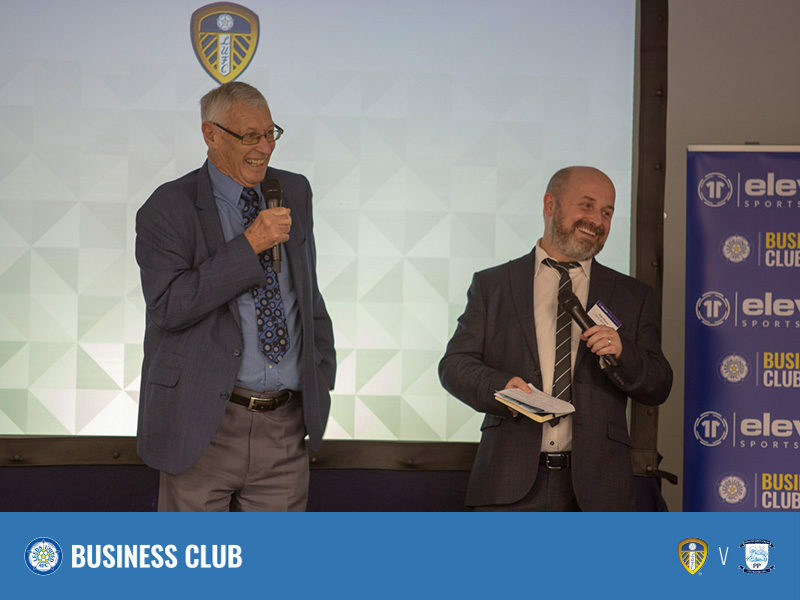 John regaled the room with his early days as a young journalist in Shipley, before moving to the BBC where he followed the likes of John Charles and Don Revie as Leeds grew to become one of the best football sides in Europe. 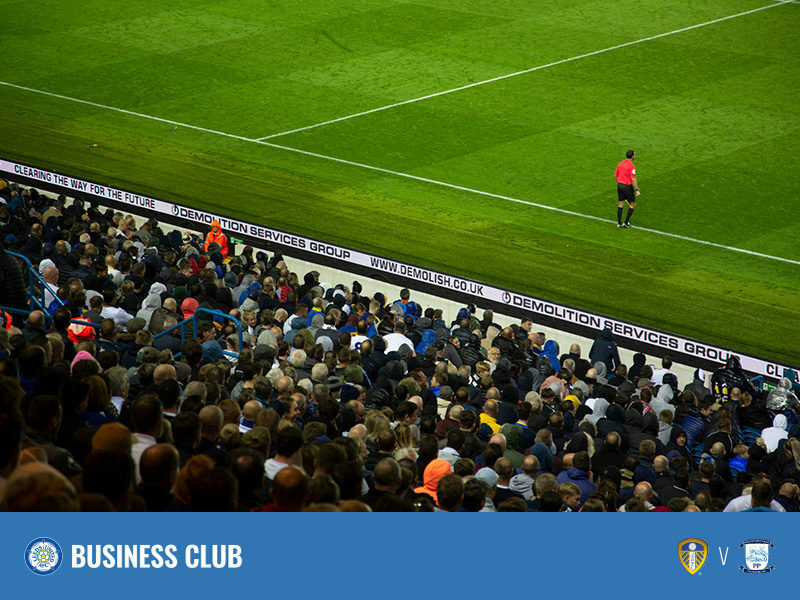 As a commentator, John’s voice will easily be recognised for his work covering the World Cup through the 1980s and 1990s. Following on from John, the room was full of laughter as compare Jed Stone entertained the guests with his unique brand of comedy. 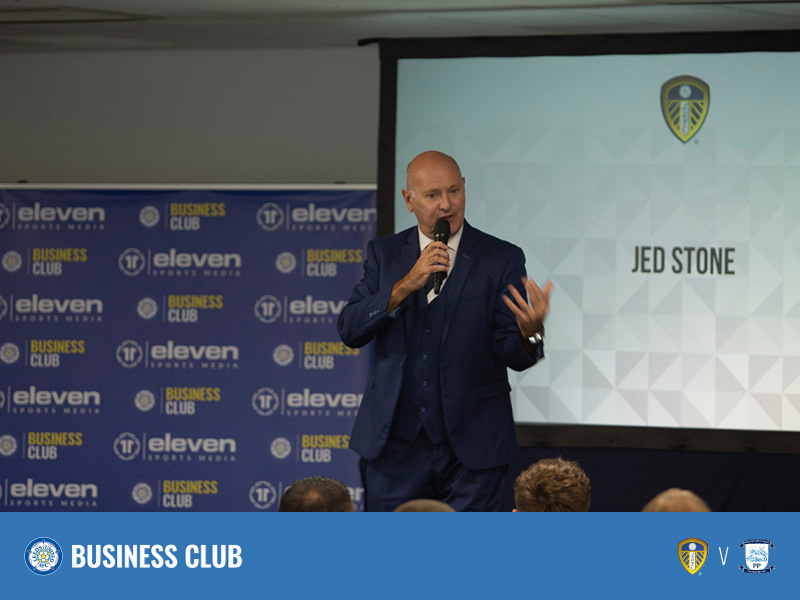 Jed then quizzed Leeds United legend, Mel Sterland, about his career at the club and took us behind the scenes for that famous Championship winning side of 1992. 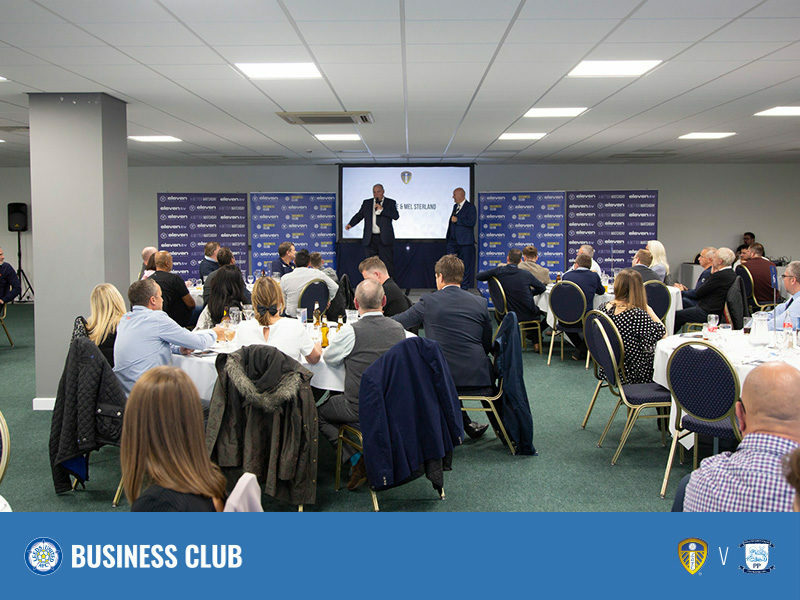 The Leeds United Business Club partners saw their brands achieve TV exposure on SKY and a huge impact within the stadium on the StadiumTV, StatTV and crowd-facing LED. 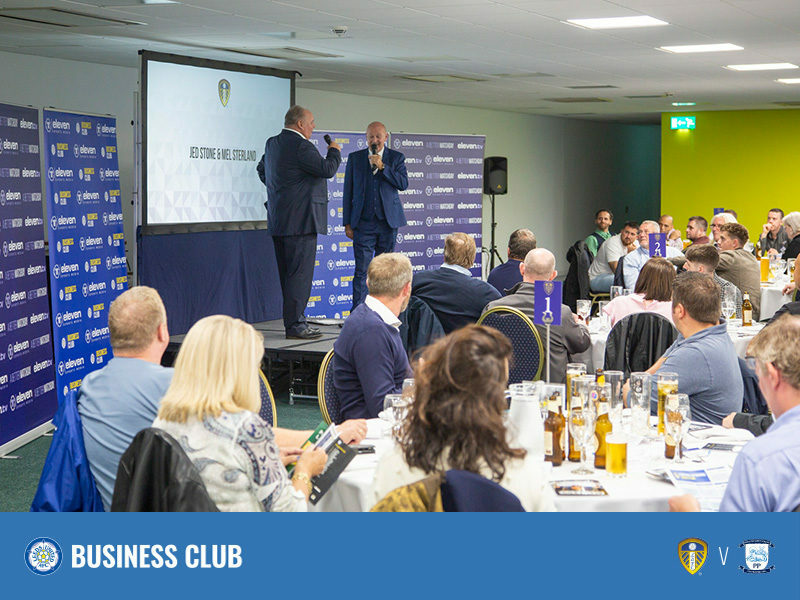 Eleven Sports Media look forward to welcoming our Business Club partners to the next event at Leeds later in the season. 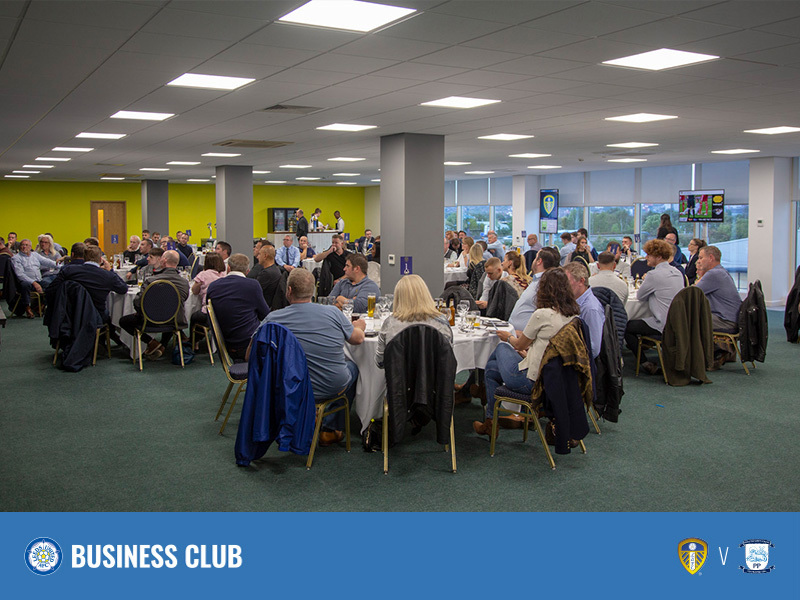 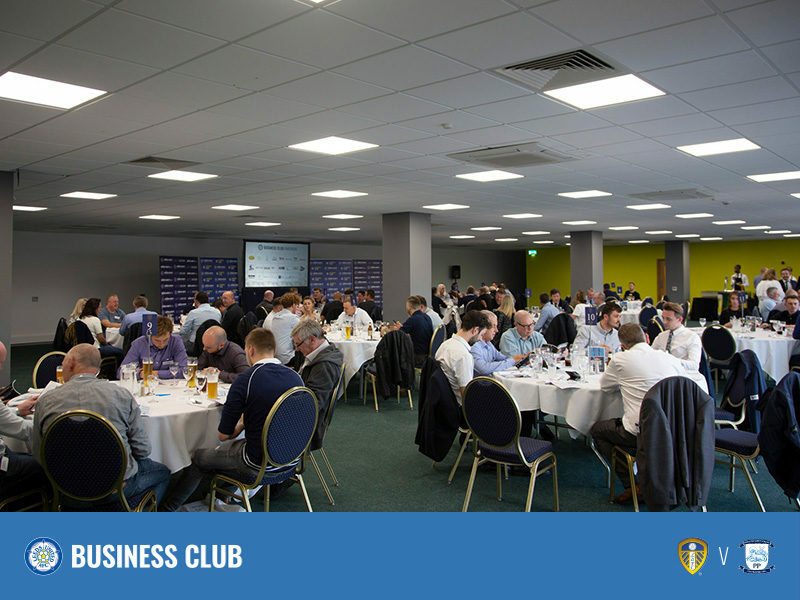 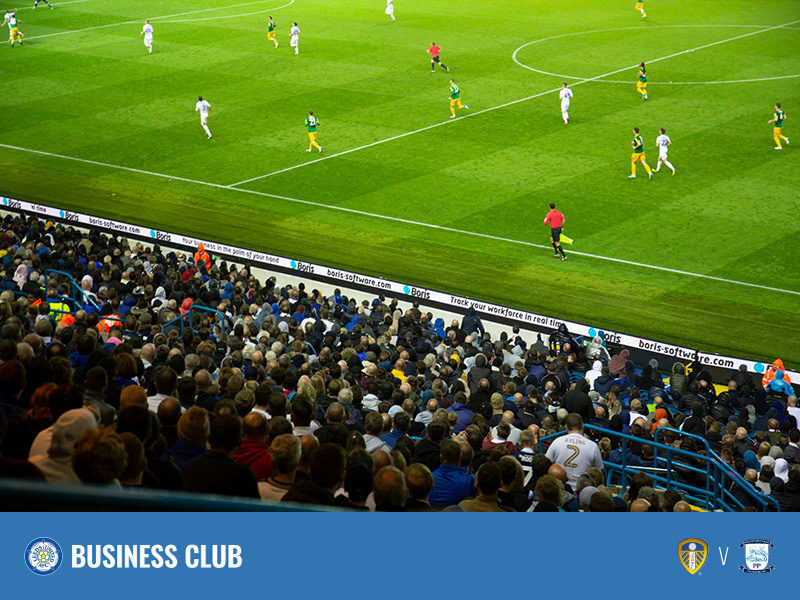 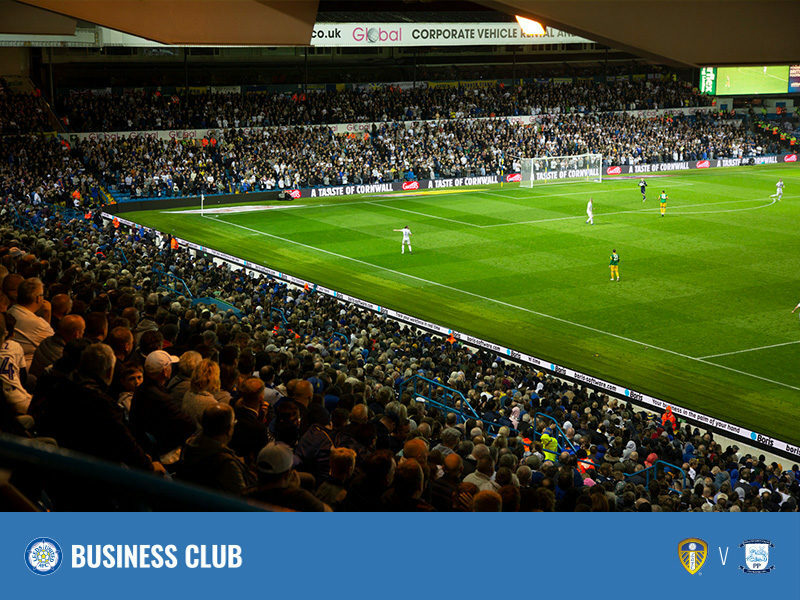 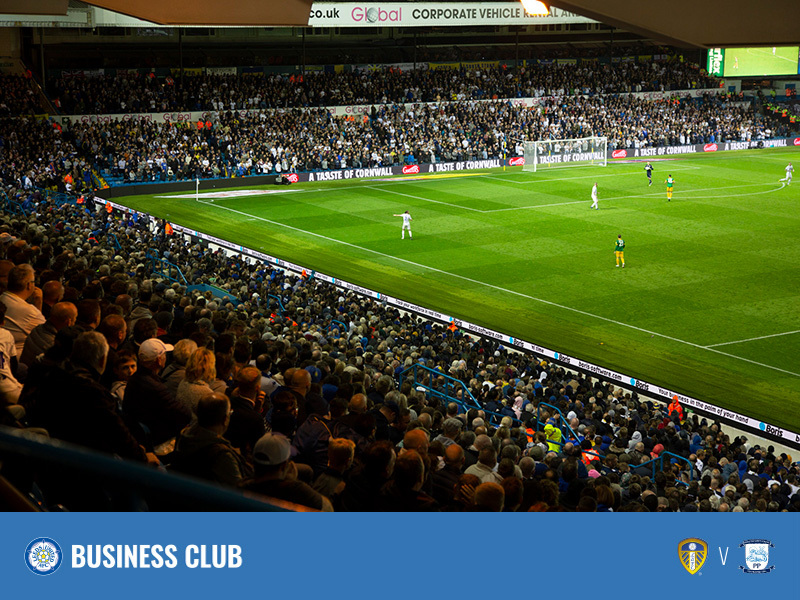 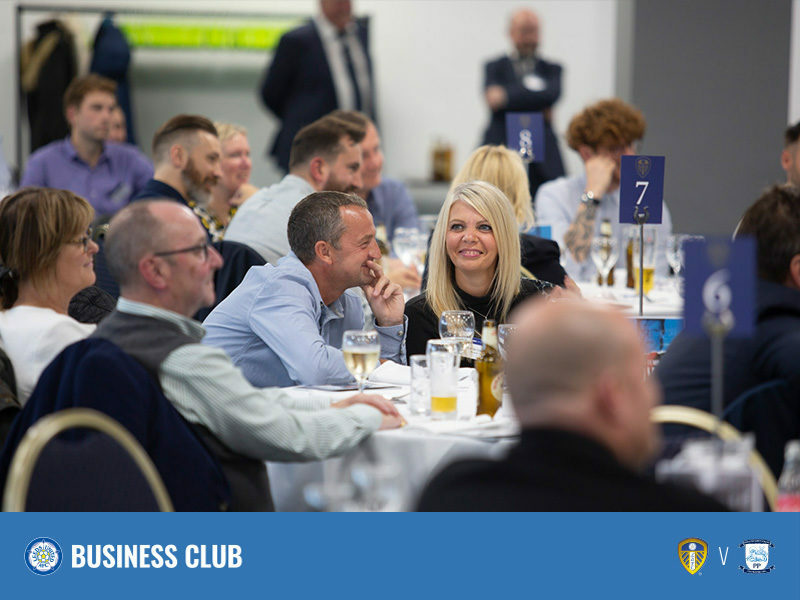 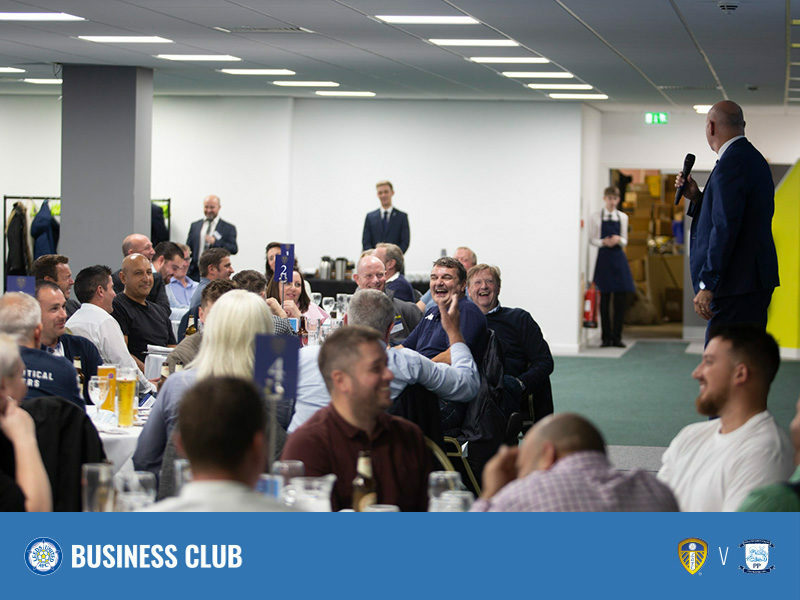 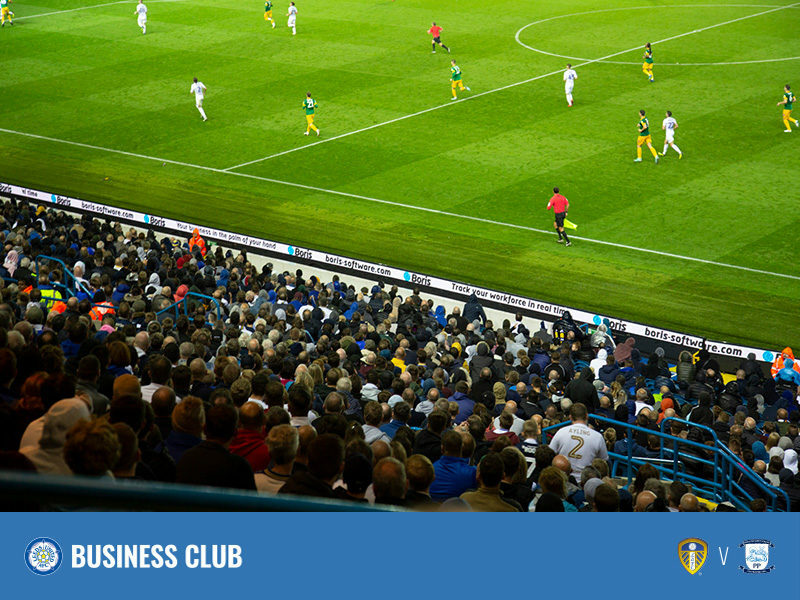 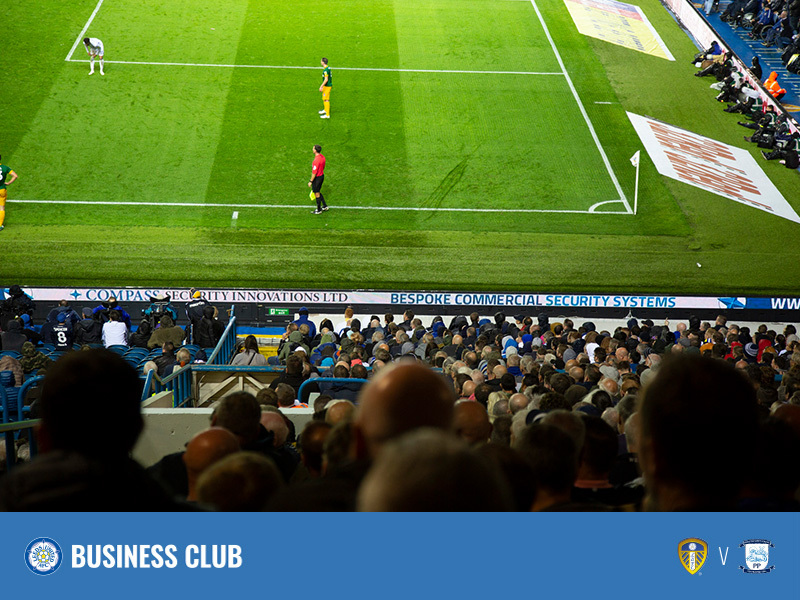 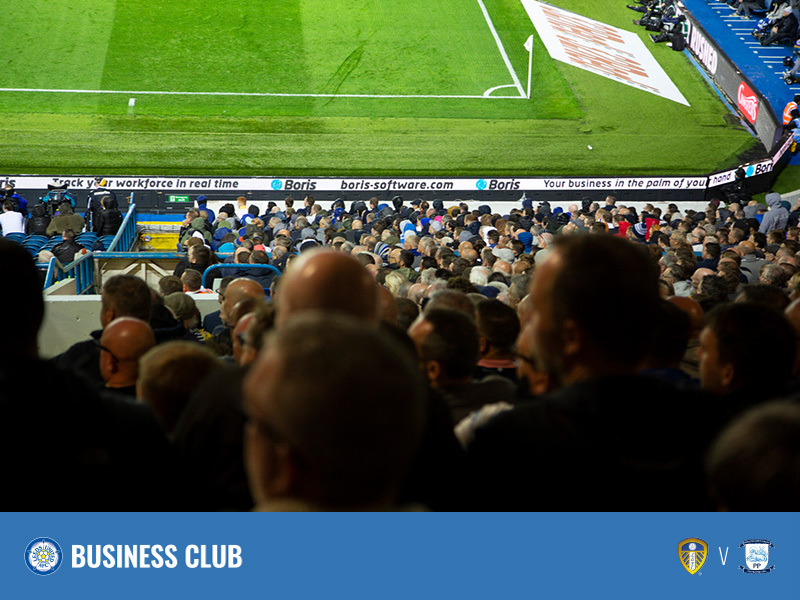 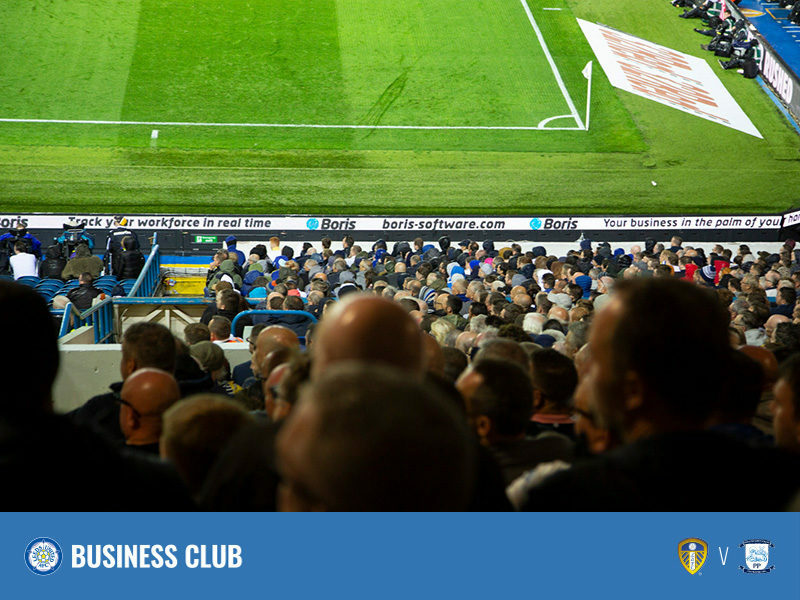 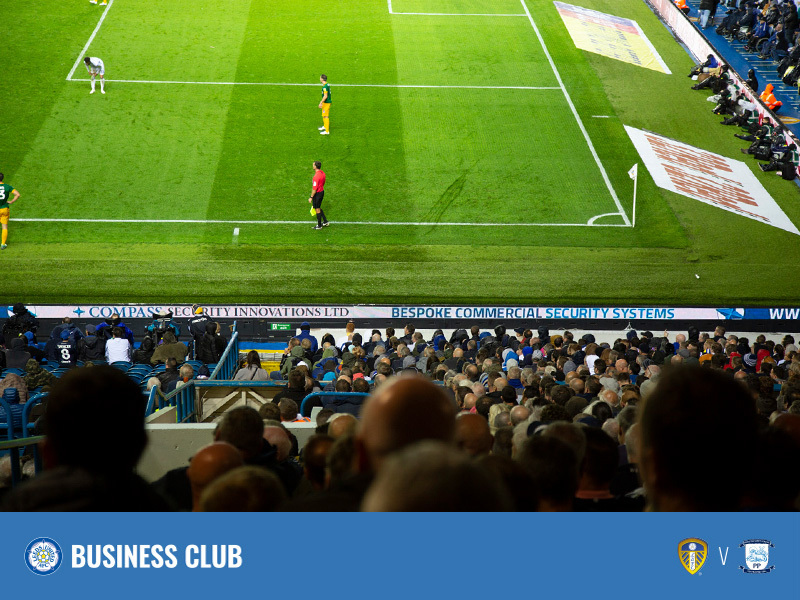 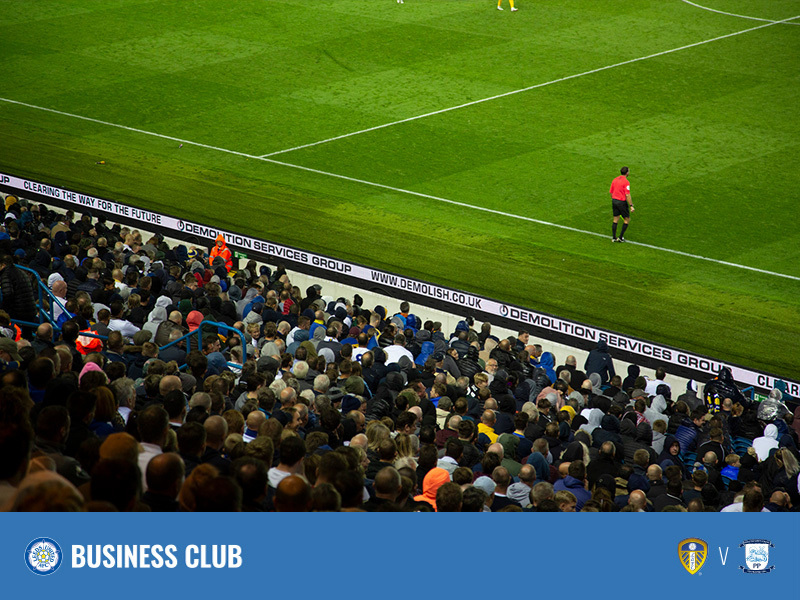 Want to see your business achieve huge brand impact by joining the Leeds United Business Club? 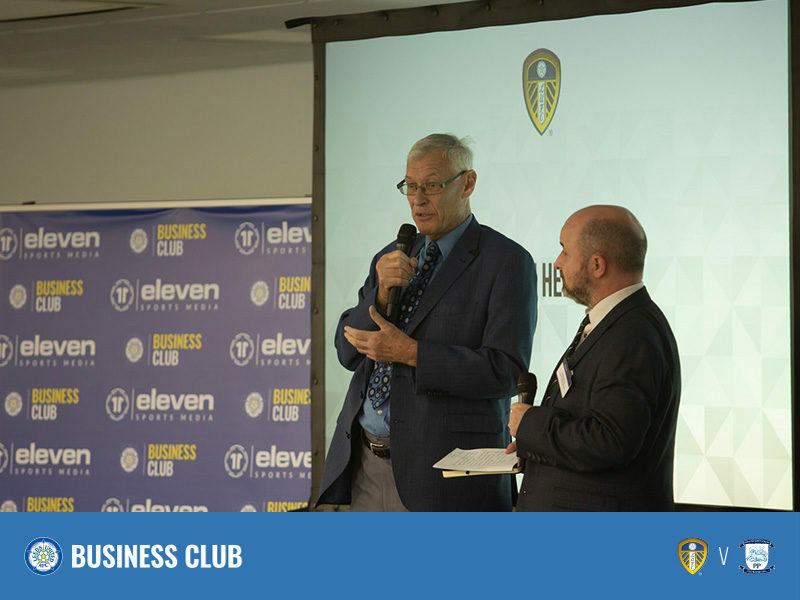 Email us at info@eleven.tv for more information.